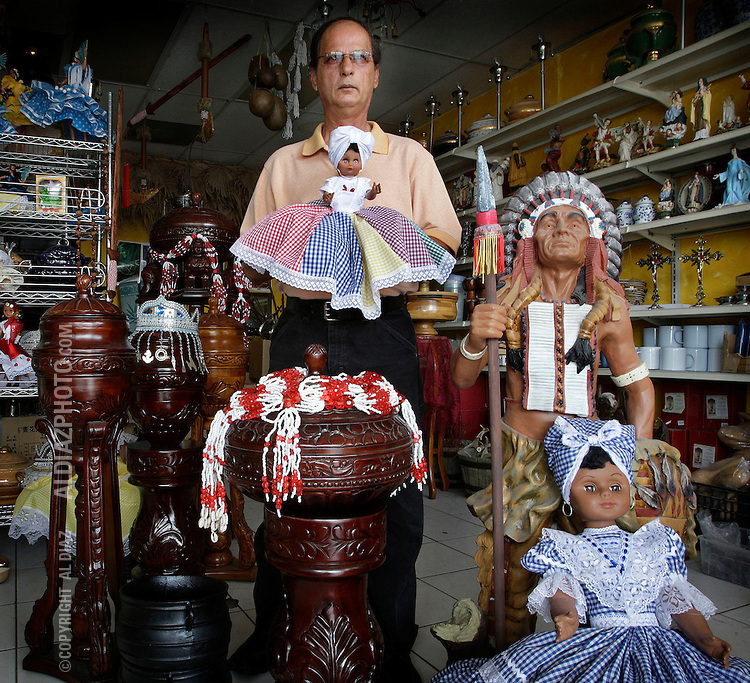 For the first time in memory, New Year’s predictions issued by three groups of Cuban Santeria priests – two in Havana and one in Miami – have agreed: The communist-ruled island faces an “optimistic” year, The Anchorage Daily News reports. Now the babalawos are trying to figure out exactly what the prediction, or “letter,” means. In Havana, the Council of Senior Ifa Priests, considered close to the Cuban government, and the independent group of babalawos known as La Casona de Lawton had the same overall positive prediction as a group of Miami babalawos. Pichardo said the word “optimism” came up in all three “letters,” in essence compilations of cryptic comments, proverbs and counsels derived during ceremonies held through the night of Dec. 31and the mornings of Jan. 1. Putting it in political terms, he added, the letters agree that Cuba’s governing system “does not work” and will be changed but do not explicitly say how – for instance, through ruler Raul Castro’s market economic reforms or his ouster. The ceremonies with Kola nuts are part of Santeria, a religion based on Africa’s Yoruba culture that is also known as Regla de Ocha and is practiced in Cuba as well as other parts of the Caribbean. Many of Cuba’s 11.2 million people follow Santeria and other Africa-based religions – often in conjunction with Catholicism – and the year-end predictions are read for possible hints of what lies ahead for the people and the government. Cubans should avoid “illegal businesses or corruption,” as well as drugs, alcohol, arrogance, ill temper and other bad behavior, according to that prediction. They also should care for the elderly and be wary of hurricanes, earthquakes and floods. But it also included sayings that could be interpreted as warnings. The proverb “With the king dead, the prince is crowned,” for instance, can be read as a reference to former Cuban leader Fidel Castro, 87, and Raul, his 82-year-old brother and successor. Another saying, “The butterfly wanted to fly before its time, and burned its wings,” could be perceived as a warning to ambitious younger Cuban government officials who may be hoping to succeed Raul. He has said he will retire in 2015. The La Casona letter, issued by the Commission Miguel Febles Padron, meanwhile, noted that the positive future will be realized through a death, and called for tolerance, unity and understanding. The year 2014 will be marked by conflicts among nations and the loss of “political leaders and elderly persons,” according to the Casona letter, which generally has been more negative to the government over the years.